FORMUFIT 1/2 in. 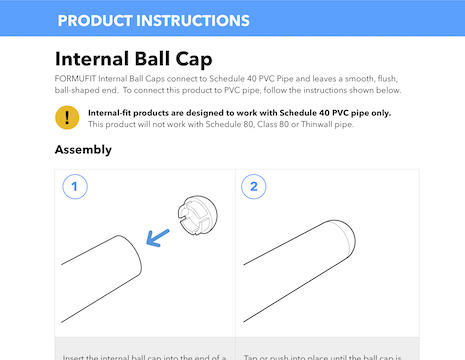 PVC Ball Caps fit inside of the end of a PVC pipe, leaving a smooth, rounded, ball-shaped end. 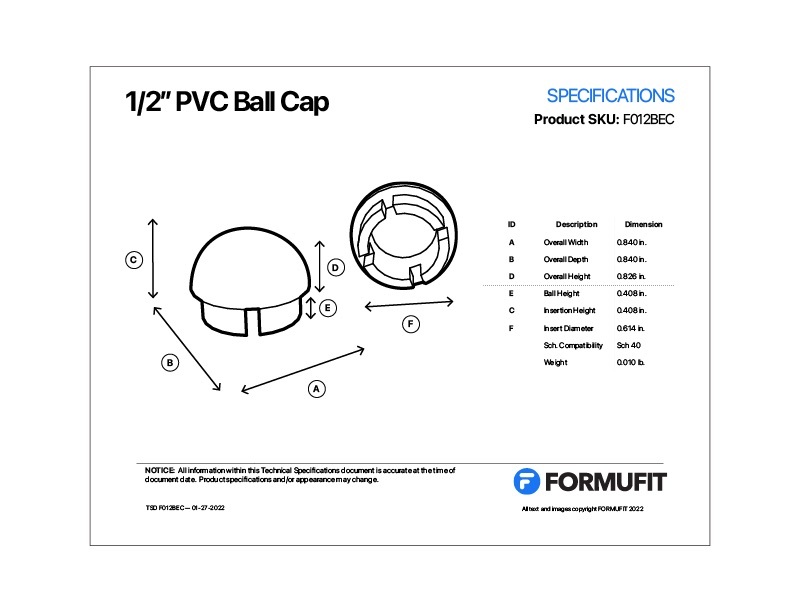 PVC Internal Ball Caps have a smooth rounded shape on the top, providing a clean, round end to PVC pipe. Their rounded and simple appearance gives a smooth and professional look to projects and applications. Fits inside 1/2" Schedule 40 Size PVC pipe, which has an outside diameter of 13/16" (0.840") and an inside diameter of 1/2".